Christel House South Africa serves some of Cape Town’s poorest communities. The majority of the students fall below the poverty line. Despite their dire financial circumstances, Christel House students collectively raised an impressive $3,300 to benefit their school. 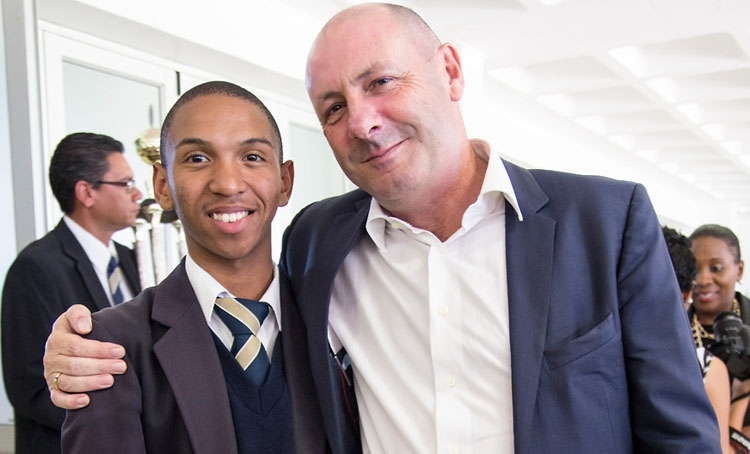 Participating in the South African Old Mutual Two Oceans Half Marathon in April, the students were challenged by teachers to become involved in the race and fundraising event. Not only did the students accept the challenge, they exceeded fundraising goals while learning the value of giving back to one’s community. Participant Matthew Martin, a tenth grader, canvassed his community and asked his mother to seek supporters through her place of employment as well. “The school has done so much for me. I wanted to show my appreciation by giving something back,” he says.